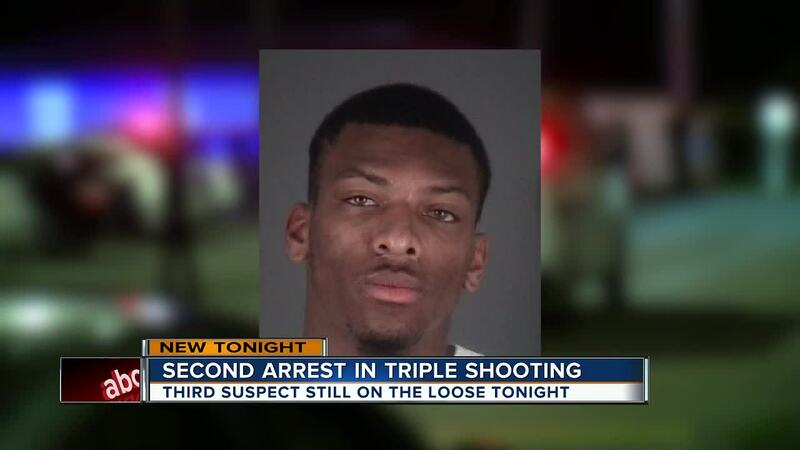 11:30AM SUNDAY UPDATE | The search for a man wanted in connection to a triple shooting in Hudson is over; he turned himself in, a Pasco sheriff's official said. Kiyondrea Redfield surrendered to authorities Sunday, Pasco County sheriff's spokesman Kevin Doll said in a statement. He was wanted in connection to a shooting at the Ridgestone Apartments in Hudson, where one man was killed and two people were seriously wounded. Redfield was booked into the Land O' Lakes Detention Center. He faces a second degree murder charge and felony possession of marijuana. Redfield's bond was set at $1 million on the murder charge and $15,000 on the marijuana possession charge, the release said. 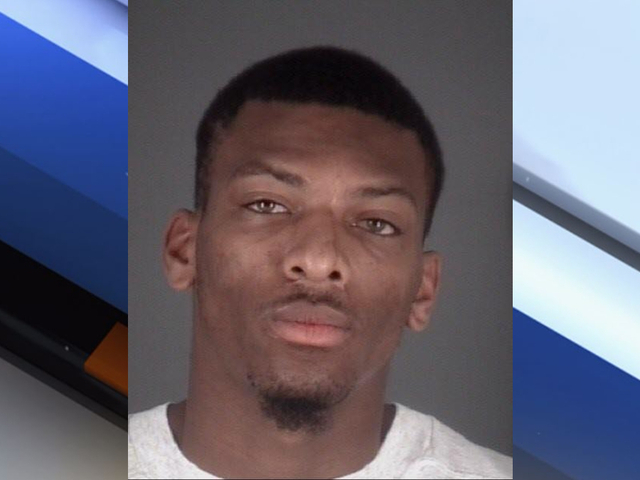 ORIGINAL STORY | HUDSON, Fla. — Pasco County sheriff's detectives made a second arrest in a triple shooting at the Hudson Ridgestone Apartment complex in Hudson, and say they continue to search for a third person involved. Detectives arrested 19-year-old Alexas Gregas on Saturday. They previously arrested her boyfriend, 21-year-old Anthony Blount, on Wednesday. Gregas was charged with third degree murder and aggravated battery with a deadly weapon. Detectives continue to search for Kiyondrea Redfield, who has a warrant for his arrest for second degree murder and felony possession of marijuana. Anyone with information on the whereabouts of Redfield is asked to call 911. According to detectives, Gregas went to a drug deal at the apartment complex in a red Mitsubishi Outlander. A witness saw Gregas hand a gun to Blout, then wait in her vehicle as a lookout. The man who was killed, identified as Jamarquez Codling, and another man identified as Kiyondrea Redfield arrived in a white Nissan Altima. It was driven by Zephyrhills resident Ariell Felder. Detectives say the two men attempted to rob Blount by getting into his vehicle. Gregas then rammed her vehicle into the side of her boyfriend's red Dodge Durango. The two men exited and ran back to the white Nissan. Then, detectives say, Gregas rammed her vehicle into the side of the Nissan before leaving the area. The Nissan attempted to back out of the parking space and Blount exited from the driver's side of the red Durango holding a handgun. He began to chase Codling and Redfield. Investigations say Blount fired at least 13 rounds into the white Nissan, hitting Felder in the back of the head. The Nissan then pulled forward and hit the building in front of it. Codling got out of the Nissan and ran toward the Durango firing shots at Blount. Blount drove off in the Durango. Detectives say at some point Codling was shot and later pronounced dead. Blount was also shot two times. Felder was last listed in critical condition. Investigators say that a large bag of marijuana was found in the parking lot.